I am the founder of the Awakening Human Awareness Project. I am a light worker and energy facilitator doing frequency Attunements. Assisting with elevating a persons frequency by the process of entrainment. I also conduct playshops, designed to open the door to exploring limitless possibilities and remembering who we are. Are you being effected by the recent solar activity? Tonight we gather together so that we may connect our Hearts to the Heart of Giai and our human tribe. As we meditate & drum we are celebrating the awakening of all life, to let go of the past and let the Golden Age begin. So please let’s think really hard about it, take it in, and think about what you want the future to be: You create what you want by being it. Are we now ready to be still and know that the “I AM” of God is within? Can we collectively realize that we are the instrument and that we have the opportunity to actually resolve anything that is out of alignment within our life and all of life through us and by us each moment as taught by the Christ? It has taken humanity lifetime upon lifetime to succeed at elevating this consciousness, and now the time is very close, for all of humanity to awaken to the full, Divine Potential encoded within every atom of our Beings. Perhaps as you hear these words you can feel your mighty I AM Presence and so at this time consciously invoke this precious potential to express your greater spiritual truth. This invocation is resounding through your inspired thoughts, dreams, intuitions, flashes of insight, visions and inner voice. So please know you always have the opportunity to bring forth your unique perspective as you are listening and responding to this enlightened consciousness in every situation and every opportunity of each day. Allow your life to become the meditation of peace, love, joy and harmony. And as you experience this within you will have the evidence you seek for it will be demonstrated as your life experience. As we move through this shift of the ages we will see much change and we have many helpers to bring us an awareness of perhaps what we term as the unseen. So I would like to share this bit of information from Lord Metatron with you. Know this, as we are reset within the ocean of Light, Light simply is, and so that will become one of the great facets of this magnificent evolutionary journey. It is to simply be, as the sun, to simply be as an ocean of Light. Just breathe that in for a moment. 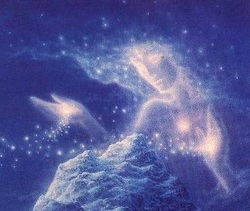 You and our beloved Mother of Earth. We and Mother Earth are being reset right now. It’s what all this back and forth of energies that you have sensed are doing. So as the winds of change seem to blow you off balance take a moment to breath and simply become the witness without any distortion, just notice how it’s all working together and all you need to is be… In this way you hold the elevated frequencies and your light of self supports all that is. So take a moment and just imagine how vital and important you are to this blessed event. For you have chosen to come to Earth at this time to lend your light of self as we are reset into an ocean of Light, having the most extraordinary adventure of being the first ever Divine Humans ascending into bandwidths of energy that never had anything to do with the Planet of Earth before. So claim this magical experience for yourself and so it is. What was up with this Mercury Retograde?